Professional Podortho Nursing Specialists are registered Nurses (Registered Practical Nurse / Registered Nurse) that specialize in the field of Advanced Medical Foot Care. The primary objective of a Podortho Nurse is to optimize foot health, improve client mobility and overall Health Related Quality of Life. This is achieved by performing lower leg and foot assessments, which has been known to detect early signs of life threatening diseases or disabling conditions. In conjunction, Podortho Nurses use the Nursing Process to assess and diagnose, develop plan of care, and evaluate patient outcomes, while working as part of an interdisciplinary health care team to ultimately provide adequate quality client care. Podortho Nurses graduate from a comprehensive 180 hours Advanced Foot Care program where they studied in depth theory, using evidenced-based best practices, and practice skill sets in a regulated Advanced Foot Care clinical / medical setting. Instructors are experienced practicing Professional Podortho Nursing Specialist that teach a comprehensive theory and practical skills course, including but not limited to; nail and skin anatomy, physiology and pathology, various disease processes, nail and skin care, wound care, pain management, structural deformities, adequate footwear and bio-mechanics of the lower limb and foot, infection control, foot care techniques and treatments, instrumentation and procedures, assessment and documentation, planning and management of foot health. Alternatively, practicing Foot Care Nurses can become a Podortho Nurse and as needed, advance their knowledge and skills through various courses or workshops. 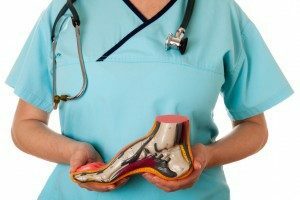 Additionally, Podortho Nurses are regulated health care providers with knowledge, skills and judgement to practice advanced medical foot care skills. They are insured health care providers and possess registration to practice with a regulated nursing body governing their practicing province. They maintain the Podortho nurse trade mark and designation right by meeting educational requirements and, or are matured in the field, and hold an active membership with the Ontario Podortho Nursing Association. Use of the trademarked title with access to the description and practice standards. Access to patient educational hand outs. Access to Nursing Foot Care diagnoses. Protection of You, Your Business, & Your Profession. Lobbying insurance companies to ensure your services are covered for you patients regardless of where they are performed. In home, in clinic, in long term care facility, in hospital. Easily accessable malpractice insurance at affordable rates. OPNA will campaign educating the public on who we are and what advanced services we can offer our clients in our communities. This will validate your profession and increase your patient bookings. This will also lend credibility to your profession and increase referrals from other health care professionals in our communities. Build relationships with vendors who will offer special rates to OPNA members. Research new and innovative products and equipment to increase your business and revenue. Add your company name to our Find a Podortho Nurse tool so clients can locate you and the services you offer. Access to the top educational opportunities all over the world and post in members only section. Accessible links to government agencies for ordering products and accessing rules and regulations related to our industry. I.e. Reprocessing links to public health. Podortho Nurse Specialists are Registered Nurses (Registered Practical Nurse/Registered Nurse) that specialize in the field of Advanced Medical Foot and Lower Limb Care. The primary objective of a Podortho Nurse is to optimize foot and limb health, improve client mobility and overall Health Related Quality of Life.